CraigardCroft: An alien invasive species.......... the grey squirrel's days are numbered. An alien invasive species.......... the grey squirrel's days are numbered. 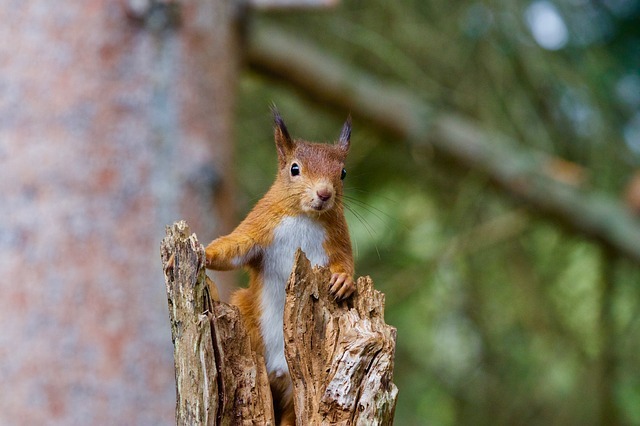 Red squirrels are a national treasure, we are brought up on stories of Squirrel Nutkin, in the wild they are pretty,charismatic individuals, we love them and we want them to thrive but their future is threatened by the alien, invasive grey squirrel. Greys cost the UK forest industries round £14m a year by damaging timber. They strip bark exposing the phloem cells causing damage that isn't often apparent until the trees are felled. The grey squirrel was introduced to Britain in the nineteenth century and it carries squirrel pox virus, this doesn't harm the grey but it's lethal to the reds when the two populations meet and mix. A whole range of grey squirrel control methods have been used with varying success; shooting and trapping are the commonest. Birth control is on the brink of widespread use. A specially designed protein that causes infertility is incorporated in a bait for the greys. The baited traps can only be sprung by the greys because they are heavier than the reds. 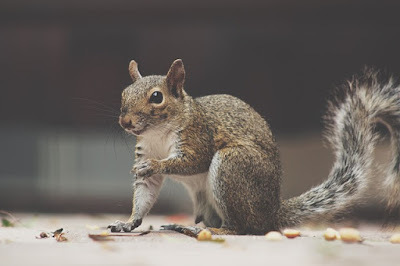 The active ingredient in the bait works once ingested and is then broken down quickly in the body of the grey squirrel, this should avoid, "unintended consequences" such as passing on the birth control effect to other species such as scavenging mammals and birds. Even choice of tree species by foresters can help to control the greys, in areas likely to be colonised by greys, not planting large seeded broad leaved tree species,such as hazel and oak, removes the grey's food supply but can favour the red. In the Sottish Highlands the recovered pine marten population is likely to stop the invasion of greys. In the Borders, Wales and Northern England it may take 30 - 40 years for pine marten numbers to recover sufficiently to provide effective grey squirrel control. In the meantime birth control looks as if it might be quick and effective. The red squirrel and the pine marten co-evolved over millions of years. Reds tend to know how to avoid martens most of the time. The greys evolved in N. America and are not really acquainted ( co-evolved) with the pine marten and are less aware. this seems to account for the martens killing many more greys than reds. 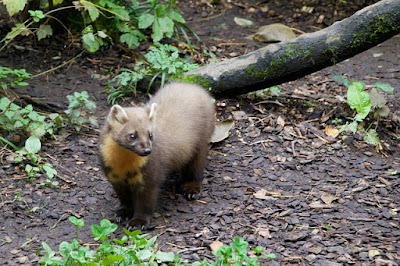 Meanwhile, today we have the first video recording of a pine marten in Northumberland.